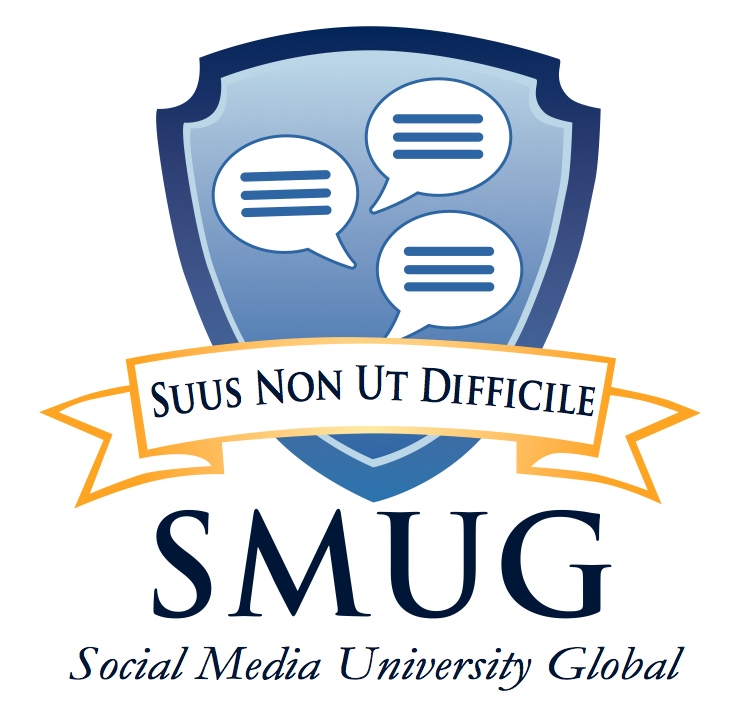 The response to the contest to choose an official seal for SMUG was tremendous, with lots of votes, comments and #smugseal tweets. Given my personal lack of graphic artistry, I appreciate so much the entries from those who took time and thought to capture the essence of SMUG. They took different approaches, from old-school ivy-covered #3 to the global longitude/latitude look of #2 (with lots of mini-logos from social media sites) to a pair from Ruth LaGue that both polled strong, one with a circular motif and the other with a shield and our Latin motto. 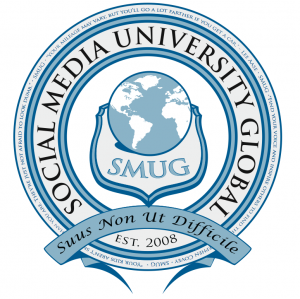 Cast your votes in the poll in the sidebar, or vote via Twitter using the #smugseal hashtag (which will help spread the word about the contest and about SMUG). Feel free also to add your comments below, if you have suggestions on how either version might be tweaked or suggestions for logo merchandise you’d like to see. Thanks again to Amy Kapinus and Reed Smith for their contributions, and to Ruth LaGue and Fatima Mekkaoui for their finalist entries. Voting runs through 11:59 p.m. CDT on Saturday, August 8. 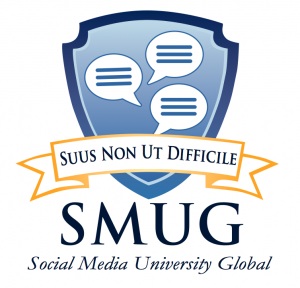 Really love the first one – glad you are making the logo selection so social! Two great options! But #1 gets my vote! Nice work. Number 2 is great. Has an “official” flair to it. However, I vote number one because of it’s simplicity. I vote for #1—although I like them both. Great choices! Going with #1! Nice clean design. I’m voting for #2 – it looks ultra official and I love all the different quotes around the ring. It serves as a constant reminder of what SMUG teaches. Both are great but I think #2 because it looks way more official! I vote for #1. Contemporary and I’ve always loved that motto. I voted for #2. 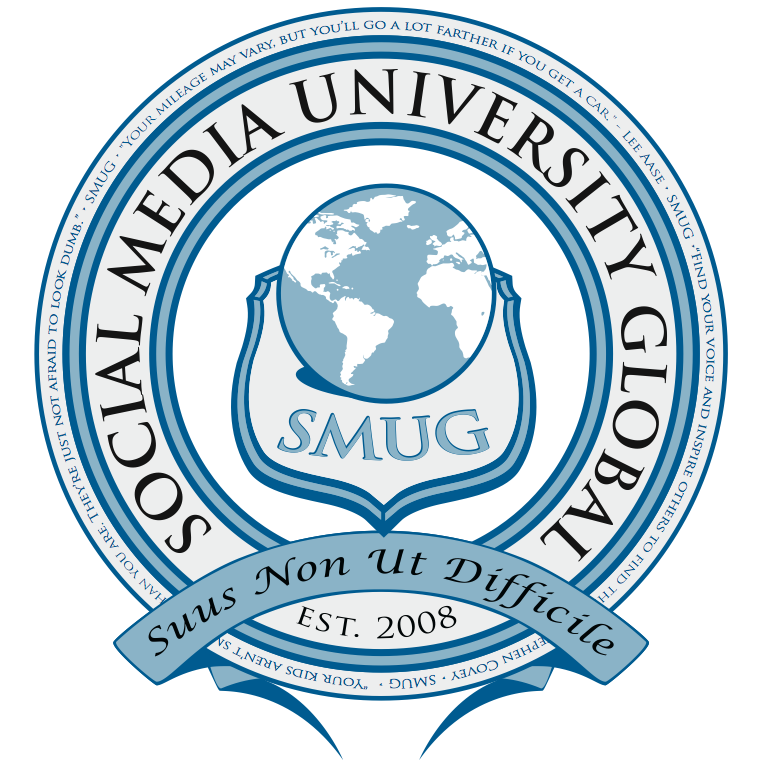 The representation of the globe in the design incorporates the global reach of SMUG. The simplistic look on #1 is nice but its too simple. #1 Hands down. The other entry is lovely, but not practical for logo rendering purposes. For example the text that comprises the outer ring is too small to be read in a smaller size, thus necessitating different versions of the logo. Trust me, this OVER complicates things. MY VOTE? #1. The other entry is lovely, but not practical for logo rendering purposes. For example the text that comprises the outer ring is too small to be read in a smaller size, thus necessitating different versions of the logo. Trust me, this OVER complicates things. Definitely #1. Since social media is Web based, #2 would require the image to be extremely large in order to read the fine print. It would also require an excessively large alt tag to be accessible.